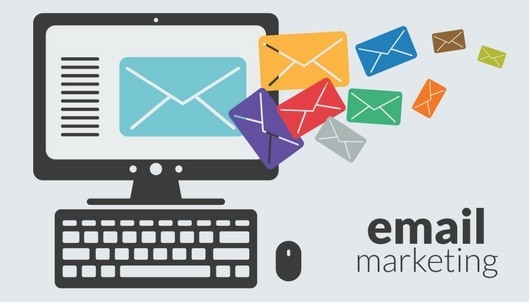 E-mail is one of the top ways to reach customers and prospective customers. There are many different ideologies when it comes to the most effective email marketing techniques, but there are some tried and true basics that apply across the board. I’ve tested several strategies over the years managing the email newsletters and lists for multiple sites, and share my favorite email marketing tips below. Remember, the goal is to increase opens and encourage readers to take action. This is the make or break part of your e-mail. People read subject lines and either choose to open or not. Your subject line should be compelling, if nothing else. Your type of business and the service or product offered might largely dictate what you put here. Some brands can afford to be sassier than others. Regardless of personality, however, the subject line should make people want to open the email to get more information. John Hayes at iContact put together a list of the best words to use in email subject lines which is worth a read. Likewise another great resource on email subject lines was published last year by Digital Marketer, with 101 different types of subjects that get opens. Customer segmentation is important because chances are more likely than not that your customer base is interested in different things. For example, if you send out a newsletter and weekly special offers, there are likely people who are only interested in receiving one of those two emails. By looking at analytics and determining what your customer base responds to, you can better cater to their needs and deliver the right message to the right people. You may segment by product or service type, interest, geography, age or date of last purchase. Here’s a great guide on list segmentation from the folks at Zapier. If you segmented your email list properly, you have new opportunities to personalize your message to each of those segments. Mass email blasts are a thing of the past; consumers today expect to receive information that is relevant and personalized for them. You may opt to include a first name in the subject line or reference a previous purchase the person has made. Each of these provides a nice touch that makes the person feel valued and more likely to be responsive and take the action called for in the email. This type of personalization requires a decent amount of data, so you may need to invest in more advanced analytics tools. Hopefully your email has a call to action to begin with. It’s too often I receive a misguided email in my inbox that doesn’t call upon me to do anything. This is a big mistake. Emails lacking a CTA are confusing to recipients and not at all beneficial to your business. The only thing worse than no CTA is an unclear CTA. Make sure you proof your email draft and run it past a few people before you send it out. If it takes them longer than 5 seconds to figure out what they need to do based on your CTA, it’s not a good CTA. Figure out the most effective time of day to send your emails. It’s tempting to think that between 9 a.m. and 5 p.m. are the best times to achieve optimal open and click through rates. The truth is, this will vary by industry and other variables. Do your research and pay attention to your own metrics to see what the most effective times to send are. Some professionals prefer to check and open email before getting into the office, so between 7 a.m. and 9 a.m. is optimal. For others, Sunday night between 6 p.m. and 8 p.m. is a designated time to run through the inbox. You also want to be sure that you take time zones into consideration, if necessary. If your email database spans across several time zones, you’ll want to segment send times so recipients in each time zone are receiving your email at the appropriate time for them. You should be testing constantly. A/B testing is one of the quickest, most effective ways to find out what works best and then scale it. You can do a/b tests with subject lines, email headlines, body copy, CTAs and email creative. One thing to remember is to test one thing at a time and keep other variations in content minor. That way, you can be sure your test results are as accurate as possible and haven’t been impacted by other factors.